It’s been a quiet week so not much news!! Saturday – course available all day. First Day of SPRING!!! Tuesday – – MW Men – Matchplay Rd 2. Wednesday – MW Women – LGU, Putts. 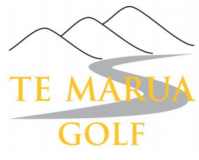 Thursday – MW Men Matchplay Rd 3. Friday – course available till 12.00. We are hosting Diplomats v Defence who normally tee off #1, #14, and #10, you are more than welcome to tee off before or after them for a game. Invicta Trophy Round 2 on Saturday 8th September – Will your name be on the Trophy!!! Top 15 Results so far are Kayne Martin 39, Con Rogers 39, Dave Anderson 38, Ash Baker 38, Chas Evans 38, Jose Cooper 37, Kane Lloyd 37, Warwick Evans 36, Greg Idour 35, Steve Dearns 35, Sam Iraia 35, Vance Plumridge 35, Dave Workman 35, Michael Baines 35 Alex Walters 34.